Fifteen-year-old John Meyers is the youngest of the Meyers boys, with a lot to live up to. So when a routine trip to the Toronto farmer's market in the fall of 1837 turns ugly, John doesn't hesitate to jump in. George is captured, and John won't leave without him. Before long he finds himself embroiled in a real-life battle, under the leadership of Little Mac, William Lyon Mackenzie and himself. And it doesn't end when he gets back home. Though Father tries to stop it, one by one all the Meyers boys throw their support on the Reformers' side. John won't let them keep him out of it. So what if fetching and carrying for a lot of crazy farmers armed with nothing but sticks and hoes wasn't exactly battle experience? It's more than his brothers have! With pretty Nan Burditt's help, John is able to follow his brothers to a small island in Canadian/US waters, the site of the rebels' next skirmish. And there they are: one Meyers boy languishing in the Kingston prison while three more, John included, are camouflaged and armed and attempting to capture a steamship. How on earth did I get here? thinks John. Well, when you're a Meyers boy, these things just seem to happen! 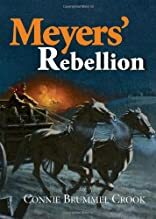 This humorous story of a boy's exploits during the Upper Canada Rebellion concludes the story of the Meyers family, Loyalists and early Canadian settlers. About Connie Brummel Crook (Author) : Connie Brummel Crook is a published author of children's books and young adult books. 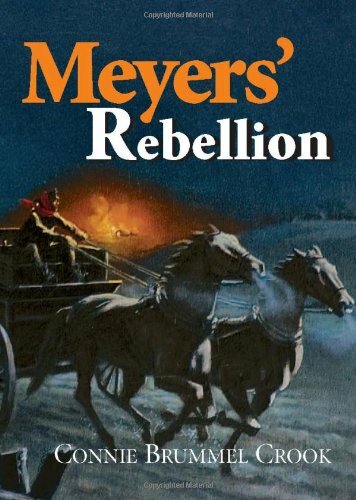 Some of the published credits of Connie Brummel Crook include Meyers' Creek, Meyers' Rebellion, The Perilous Year.